I had an opportunity to focus a bit more in the white category to create a fresh and inviting space, so I jumped on it. 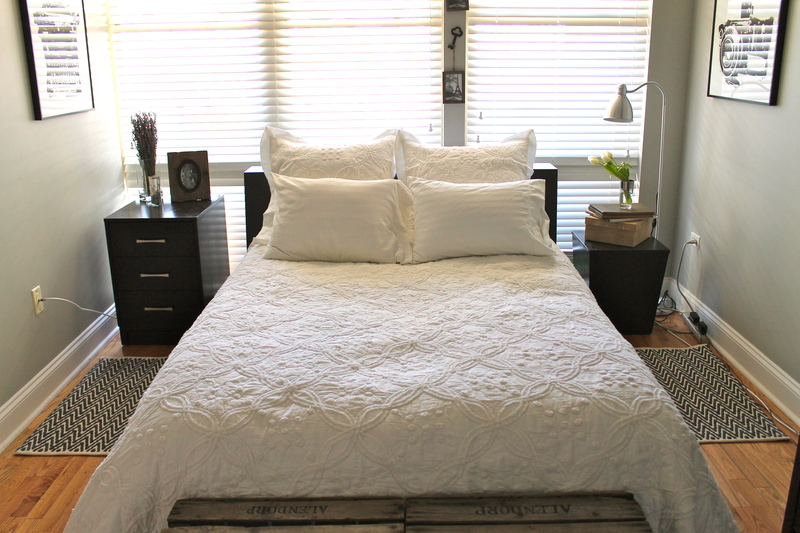 And so, when I found this amazing white floral embroidered quilt from Pottery Barn, I didn’t flinch. The main reason is because it reminds me of my Great Grandma Anne as she had something similar on her bed circa 1985. 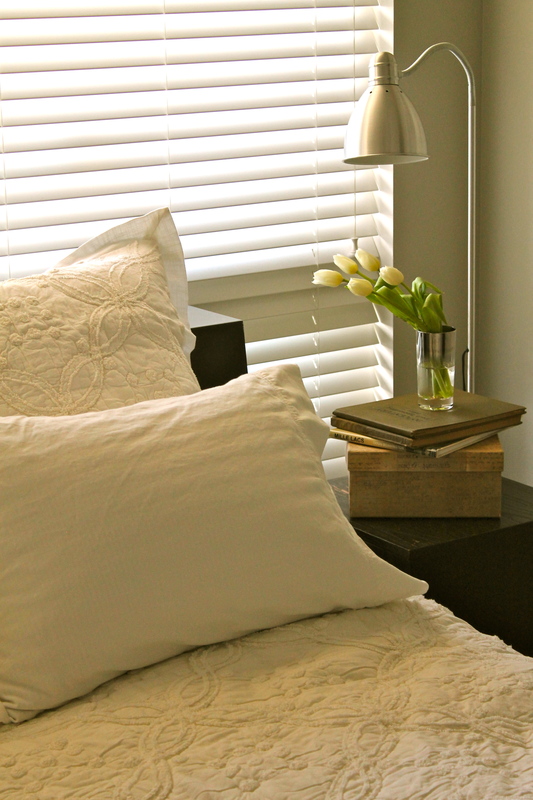 Fresh flowers are a must in a guest bedroom. 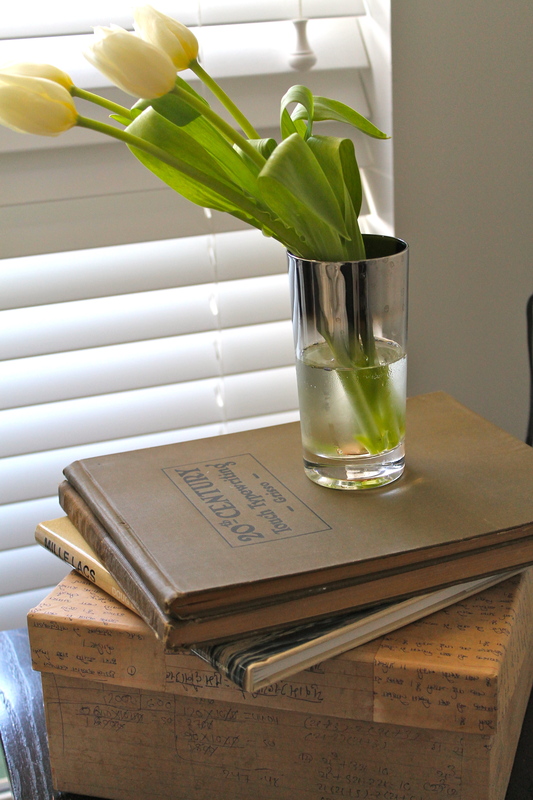 And here I used a vintage cocktail glass of my grandma’s to enhance these lovely tulips. The box is a great decor piece from Jayson Home and then I stacked a few books on top, one being my brother’s (Doug Bennington) photography book and the other two are vintage typewriter books. Love. 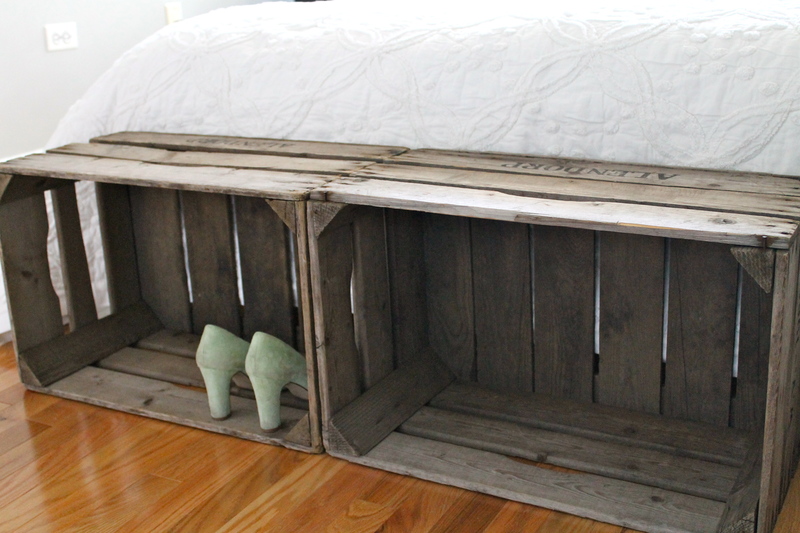 I am in love with vintage flower and wine crates so I snagged these from a local Chicago florist, A New Leaf, and used them as a makeshift storage bench at the end of the bed (and they ran me only $50 where usually benches can run anywhere from $150 – $1k or even more!). We recently had guests and they put their luggage on there which makes sense. It adds a nice vintage touch and flows with the “old meets new” theme. 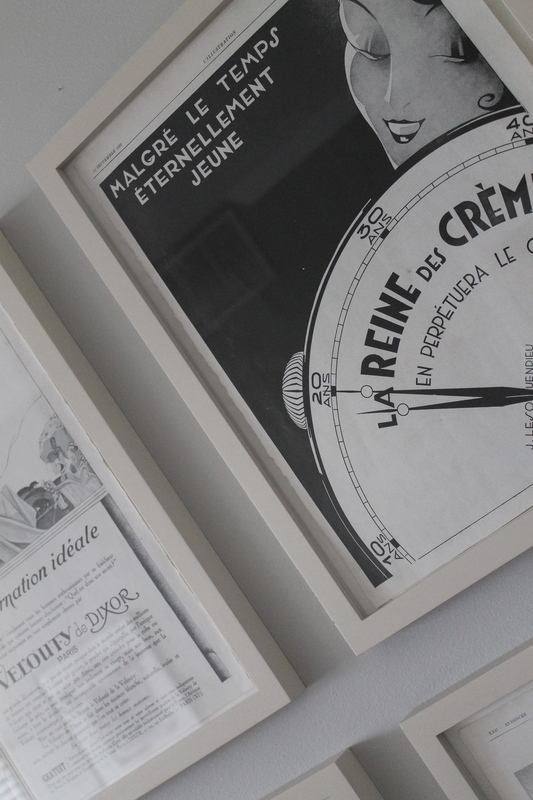 The four prints hanging on the wall are taken from the October 1929 issue of a French fashion magazine called Illustration that I found at an old, eclectic antique shop in Manchester Village, Vermont. I tore the pages out, left them rough around the edges and popped them right into frames. And there you have it. Cheap, French art. Sign me up! 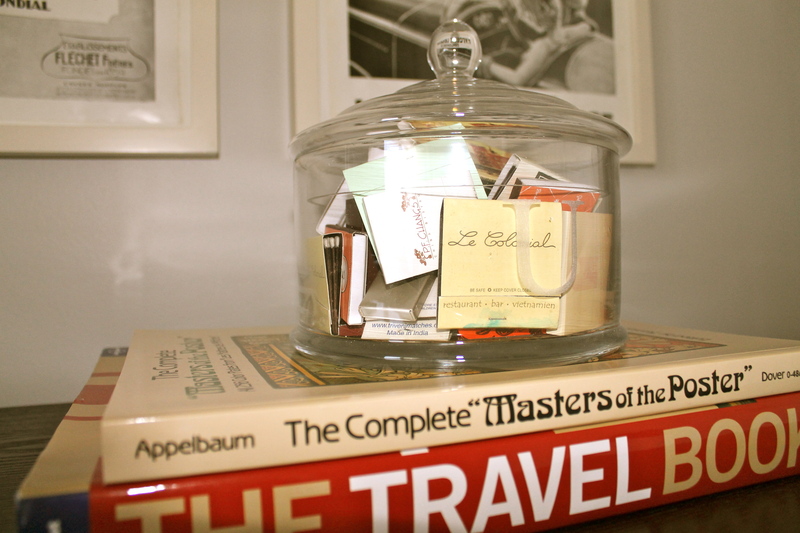 I am in love with my monogrammed Pottery Barn Classic Glass Canister and in the spirit of giving credit where credit is due, thank you to my dear friend Vaneesha Pause as she has this in her house! 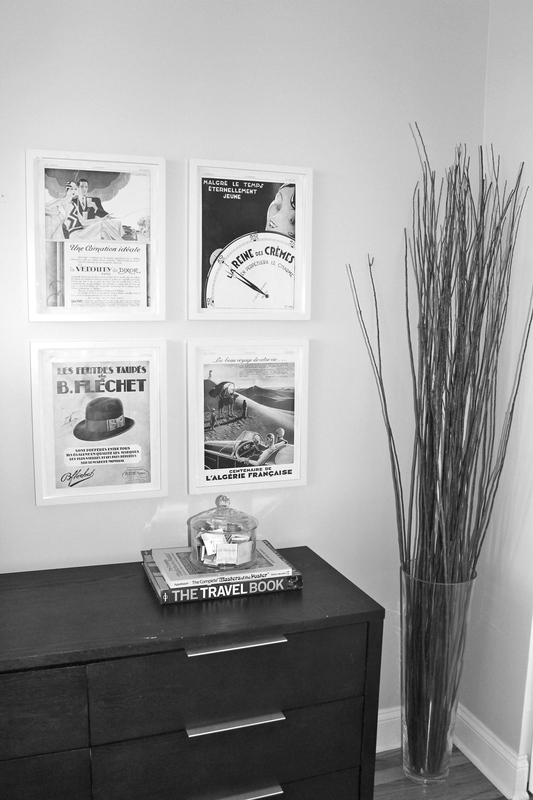 I decided to take my matchbook collection as this offers a great way to display the matchbooks and adds a little creativity as well. I am sure I will switch them out at some point and put flowers or candy in there. Last but not least, I bought this 5×7 chalkboard hanger at Jayson Home. You can use it for so many things and it’s very versatile, given you can write whatever you want on it. 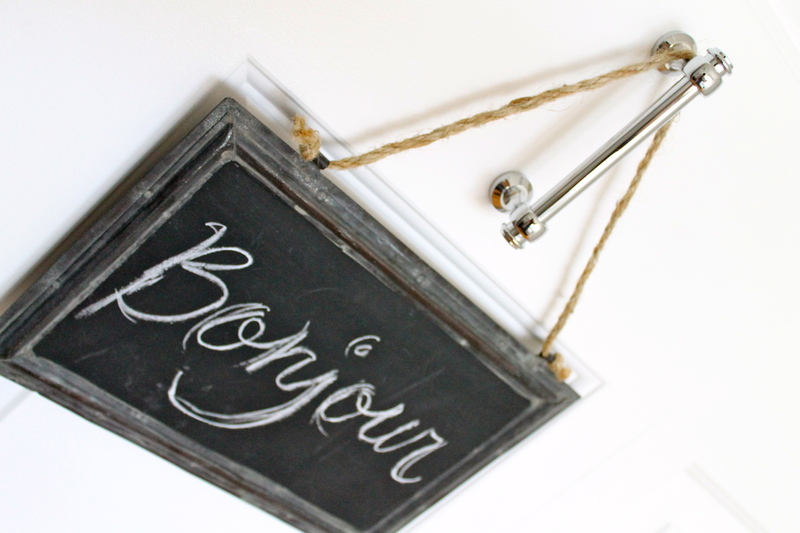 I kept it French, as you can see, and it hangs on the closet door handle. When are you coming to design our home?